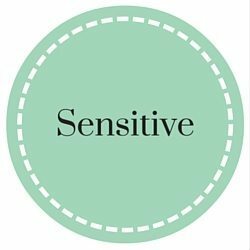 Sensitive skin is prone to itching, redness, tightness and burning. You want to fight the signs of aging without causing irritated flare-ups. A cleanser, toner, a soothing facial oil, and a moisturizer. Anti-aging products such as fruit enzymes to remove dead skin cell buildup. Collagen stimulating ingredients such as vitamin C or peptides. A daily sunscreen will prevent sun damage to your skin. This guide will teach you how to create an amazing sensitive skin care routine to target the signs of aging. Cleanse in the AM and PM. Sensitive skin types should avoid any highly fragranced soaps or soaps with strong detergents. Gentle, limited ingredient liquid, gel, cream, or oil cleansers are the best way to go. Look for soothing ingredients such as chamomile. A soothing toner will leave sensitive skin feeling clean and refreshed without the use of aggressive cleansers and can help counteract the irritation that can occur after washing your face. Sensitive skin should avoid alcohol, fragrance, and alpha-hydroxy acids in their toners. Discontinue use if you notice additional redness. A good anti-aging serum for sensitive skin will calm your skin, while delivering actives such as antioxidants. Wait for 10 - 15 minutes after washing your face to apply your water-based serum. Allowing your skin to dry completely will slow down penetration and reduce potential irritation. Vitamin C is an excellent anti-aging ingredient for sensitive skin. A moisturizer will hydrate the skin and keep it plump and moist. It will also help keep your skin barrier intact. Use daily after cleansing, toning, and applying your serum. When moisturizing sensitive skin, you want a moisturizer that is free of fragrances (look for fragrance-free products rather than unscented) and irritating preservatives. Oils provide nourishment, hydration, protection, and repair. They are packed with youth-enhancing antioxidants and skin-renewing compounds. Mix a few drops of facial oil with your moisturizer or apply after. Sea buckthorn, apricot kernel, borage, and evening primrose are excellent oils for sensitive skin. Sunscreen is an important part of every skin care routine. The sun damages our skin leading to redness, irritation and wrinkle formation. Sensitive skin types should avoid chemical sun blockers such as oxybenzone and instead opt for physical sun blockers such as zinc oxide or titanium oxide. I recommend looking for a tinted moisturizer with SPF, that way you cover the whiteness that zinc oxide can create on the skin. Exfoliates remove the dead skin cells that make your skin look dull. They can also speed up cellular turnover, bringing young skin to the surface. Chemical exfoliates such as glycolic ﻿﻿acid may be too harsh for sensitive skin, lactic acid is a more gentle chemical exfoliate. Another option is to look for a product with gentle exfoliating enzymes such as pumpkin enzymes. Perform a fruit enzyme peel once a week. A weekly mask will help reduce clogged pores while fighting free radicals and aging, as well as delivering minerals directly to your skin. Homemade masks containing yogurt, honey, or avocado are great for sensitive skin. The lactic acid in yogurt gently digests dead skin cells, avocado provides lipids and hydration, and honey fights bacteria. Look for masks containing Vitamin C, or other antioxidants as well as minerals. Use your mask once a week, a few days after your enzyme peel. The above product recommendations should help you get the youthful skin you desire. The most important aspect of sensitive skin care is avoiding harsh ingredients and using gentle products. You have a dead link to whatever the product was with ceramides. It would be great if you listed the names of the products, not just the links, because links go bad all the time. Hi! Do you have any suggestions for a peptide containing product? I saw you said to use one for a collagen boost but there’s no product suggested. Thank you! Hi Darla, I do have a product to recommend! Foxbrim Peptide Complex Moisturizer is a great peptide product with lots of positive reviews and a good ingredients list. I will add it to the post. I can not use them do you have another recommendation that not contain Phenoxyethanol. It is a challenging question. You are correct, Toshiko, it can be a challenge to find products that don’t contain phenoxyethanol. Pai Skincare products do not contain phenoxyethanol, and they make amazing skincare products for sensitive skin. Kypris Beauty doesn’t use phenoxyethanol and neither does May Lindstrom. The Eminence Strawberry Rhubarb Dermafoliant is also free of this preservative. I hope that helps, let me know if you have any other questions!